Rochester Park was promoted as the next Dempsey Hill dining destination when they first started. Restaurants like Cassis fine dining French restaurant, Pinchos Tapas Bar, Twenty + One Patisserie have come and go, while the other main stewards like One Rochester and Da Paolo are still going strong. Are the Singapore Rochester Park Restaurants over-hyped? Or do they deserve more publicity? My friend proudly declared, and no, she doesn’t work for them. Among the Rochester Park restaurants, Da Paolo is the one that I want to go next. In case you are not aware, the Da Paolo group also has other restaurants in Chip Bee Garden. 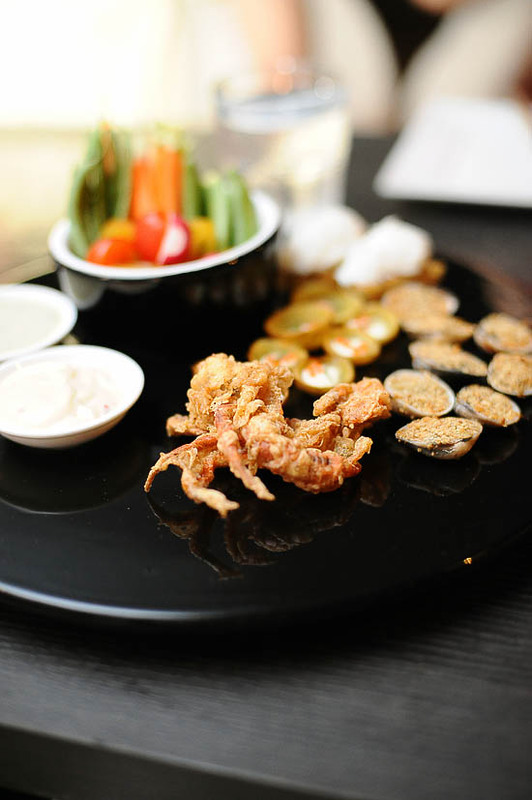 Krish is a fine dining restaurant which offers South Asia influenced European cuisine. In short, it means Western food with an Indian twist. Located at the fringe of Rochester Park, Min Jiang which is a fine dining Chinese restaurant has another branch at Goodwood Park Hotel Singapore. I have been wanting to try their famous Peking Duck and dim sum. All right, I don’t care. I am going there the next time I have cravings for Peking Duck. 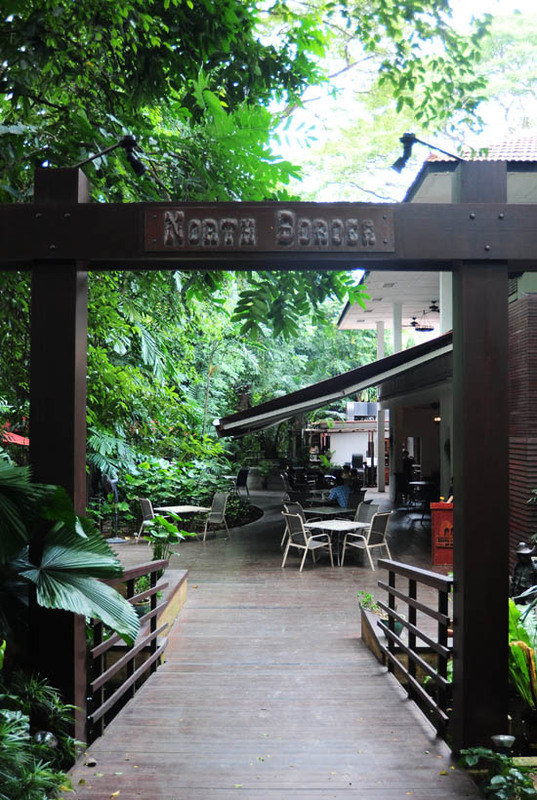 A friend told me that North Border Bar & Grill’s serves very value for money set lunches. With choices like lamb shank and steak on the menu, the 2 course set lunch at $21.90++ looks like a good deal. Folks working in the area can come here when you have a long lunch break. Unless you walk right to the end of Rochester Park, you will probably not see Onaka Cafe. I only found out about it when I was surfing online. Has anyone tried the food here? One Rochester is under the same management 1 Caramel Patisserie and 1 Twenty Six at Big Splash East Coast Park. I have tried their Communal Coast menu at the latter. While it is rather expensive at $70++ per person, One Rochester restaurant is well known for their ambiance. The newest kid on the block, Rochester House is a 3-in-1 concept. Rochester Park Cafe is a kids friendly restaurant which has an indoor and outdoor playground (called The Playhouse) for patrons to keep their kids entertained while they enjoy their meals. If you are a big fan of green al fresco dining in Singapore, I believe you will like the Rochester Park Restaurants that are housed in Colonial buildings. Now, tell me: which restaurant in Rochester Park have you been to, and which one are you going to try next? u must try Min Jiang! The Peking duck is great – go for the minced duck with cabbage for the remains =) And of course, all the durian desserts there are a must-try! U should try da Paolo! The pizzas are fantabulous! Tts if u love thin crusts! Love the blue cheese w Parma ham combi. Lots to choose frm. The tiramisu is really to die for. Heard the graze brunch is quite awesome but I wasn’t blown away by their dinner menu. Steaks are just normal. Can’t remember much of my dinner there, speaks alot abt the food. Onaka Healing Cafe serves organic food and a wide range of freshly made organic juices, shakes and teas. I’ve tried their smoked salmon and avocado panini – that was really good. For their selection of Asian dishes, I’ve tried the Hakka dish,”Lei Cha Fan”, Thai basil rice and also their bibimbap. The Lei Cha Fan and Thai basil rice (made with brown rice) were good. The bibimbap was so-so; I’m Korean so I’ve tasted better. But overall, Onaka is a nice place for a healthy meal. The peking duck at Min Jiang is a MUST TRY. It is best that I have tried so far though the food is abit on the pricey side. just went to onaka for take away dinner, and the food was GREAT! we had scallop & mango salad, omega-3 rice with salmon, spiced pear juice and the soya ice cream. can’t say much about the service except that the staff was friendly. i’m sure it would have been nice to dine there. Thanks Ladyironchef for your recommendations, so far I have tried a few restaurants on your list and found them excellent..
Keep that up and will look forward to your upcoming recommendation. Just went to WEJS (pronounced ‘wedges’) @ Medici Cafe, and boy is the Tunisian food there authentic and awesome! It’s a bit of a walk to their place at 44 Rochester Park, but the food was well worth the journey. I had the Brik (something like spring rolls), and the chicken couscous tunis. It was very filling, and the price range is pretty reasonable for the portions and quality of food that you are getting. It’s really a hidden gem that ought to be tried out if you can!